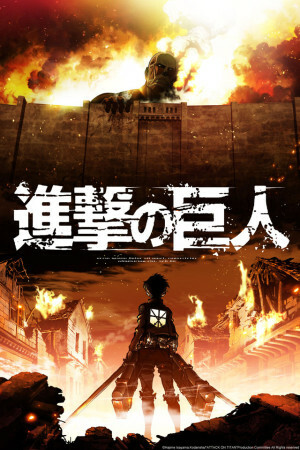 In case you haven’t heard already, Attack on Titan (Shinjeki no Kyojin) has received immense amount of popularity since its original release last year. With the new English dubbed version airing on Adult Swim, it has flooded with new fans. Either love it or hate it, it doesn’t change that AOT is easily one of the most talked about series to date. As a preference, I enjoy watching a series with serious emotion dipped into the plot. I love seeing characters react realistically, and who doesn’t like some action? This series has all three, and so much more to offer to the average viewer. This show will probably mess you up, and after the first episode, it definitely sets the tone for the rest of the series. The story starts out with young Eren Yeager, living ‘peacefully’ within the walls of the small segment of Wall Maria – Shiganshina. His adoptive sister, Mikasa Ackerman, lives with him along with his mother and father. Soon enough, like Eren could have predicted it himself, Titans infiltrated the walls and eventually killed his mother, forcing him, Mikasa, and Armin to flee from their homes and further into the walls. 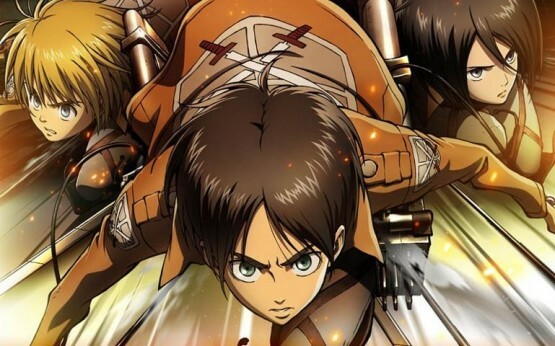 After a few years of training, and a proclamation of vengeance against a whole race of Titans, Eren and his friends are finally skilled enough to take on the Titans and take back their homes. But it won’t be so easy — There are conspiracy theories, Titan-shifters, and mysteries around every corner. This series as a whole was fantastic. Yes, it was slow and dragged out at times, but I feel like this series has great potential. With a series with so many questions to boot, you end with only one question answered, and then a boat load of more questions after the last episode ends, and you watch the end credits roll. Who is the Colossal Titan? Who is the Armored Titan? Why are there Titans within the Walls? Is the government to blame? The religious groups? Where did the Titans come from? Who can Eren and his friends even trust within those cages they call walls? Where is Eren’s dad? What does he have to do with the Titan shifters? And most of all…. What the heck is in Eren Yeager’s basement?! The animation in this series caught my eye from the get-go. The dramatic sequences, the choreography, and even the simple nature around them was eye-catching. All the vibrant colors, the detail in the clouds in the sky, even the dramatic change in the colors of each scene set the tone for what was happening. Every frame was something beautiful, and I absolutely adored it. Not to mention the OST was bone-chilling, with the choir and heavy orchestra bits, and then the memorable insert-songs, leaving you itching to figure out what that song was called, because you want to crank it up in your car and scream the lyrics. No? Just me? With all these elements, you’d think that I was finished, but the complete cast of characters are perfection. We have a wide range of people to be introduced to, and they all have their own personalities, their own fears, their own ambitions. You see them build friendships and grow as characters. Personalities are one thing, but every single character in this series is unique in their own way–including appearance. I mean, come on, even their noses are different. Let’s be honest, you don’t see that every day in character designs. What also is interesting is that these characters react realistically. In all seriousness, if you came face-to-face with a Titan, you’d probably crap yourself out of fear, and most likely run away. And that’s what a lot of these people did in this series. They realized they weren’t heroes. They couldn’t fight those behemoths called Titans. Because let’s be real here, nobody wants to be eaten alive, right? They all had their reasons to be afraid. However, we still have a set of characters who are strong enough to fight the Titans, and we salute you. Anyway, all that being said, I am beyond excited for the second season coming up in 2015, and I hope they do as great as a job as they did with this series. What did you guys think of Attack on Titan? Love it? Hate it? Wanna become a Survey Corps member? Who’s your favorite character? Let us know in the comments!